On November 4, of this year, Enter Shikari will release their last piece of music for the year. The song, titled “Rat Race,” will be available to your ears in digital, and physical forms come the fourth. With a limited vinyl 12″ pressing of only 500 copies (pre-orders start today). 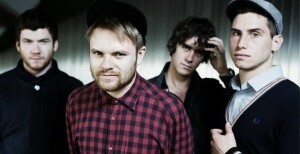 “Rat Race” joins the likes of “The Paddington Frisk,” and “Radiate” for Enter Shikari’s three singles for 2013 series. Who is ready for new Enter Shikari? UTG is, we loved the band’s latest effort, A Flash Flood Of Colour, and you can check out our review of it here.